I was up on the balcony for this so the photos aren’t great (are they ever?!). 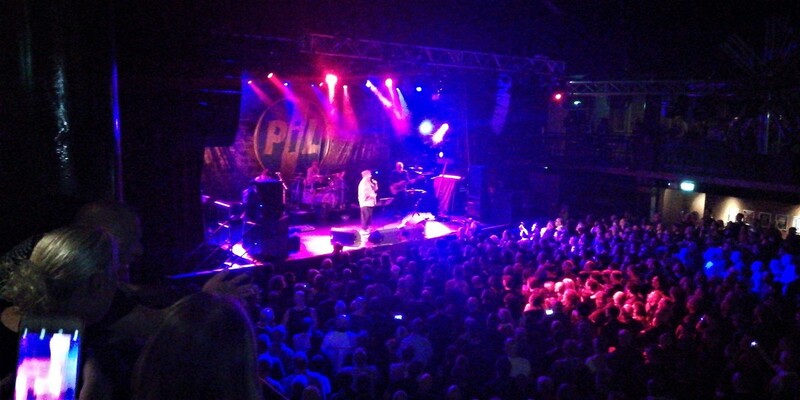 My second PIL gig and as enjoyable as the first. There was moments when I was just stood in awe at John’s powerful vocals. A cheeky Friday afternoon booked off work, me and Lammy meet at Leeds station and before we know it we’re on the train hurtling through the pennines Manchester bound. Check in at the hotel then onto Chinatown (via a couple of pubs of course). Another stunning tofu dish at The Great Wall chinese restaurant it never fails to disappoint. Enough preamble! 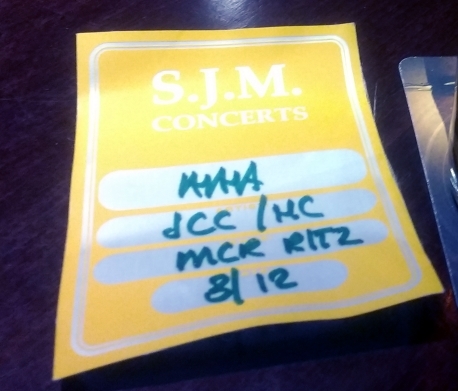 The gig! Last time I was in Manchester’s Night and Day Cafe was for a “Phil and Phil Podcast” in which I got a mention for reasons I won’t go into here. It’s a nice venue but I’m not sure how it will transform as a music venue. Any decent ale soon runs out so we switch to wine. We manage to get near the front so we hang fire and wait for Brix and co to appear. Shriekback’s Mistah Linn He Dead blasts over the PA and I’m very much in the zone right now. Brix takes to the stage looking amazing (as do the rest of the band to be fair!) . All the classic Fall songs are there Leave The Capital, US 80s 90s, Bombast, C.R.E.E.P – it’s all beautiful, there’s even a cover of the Temptations Ball Of Confusion thrown in for good measure. It’s also worth noting that the new songs sound really very tasty in particular the stomping grunting Give Me Something To Lose. Hope they get a record out soon. I face the facts of something I already knew a long time ago. I’m a Brix era Fall fanboy – There’s no denying it.